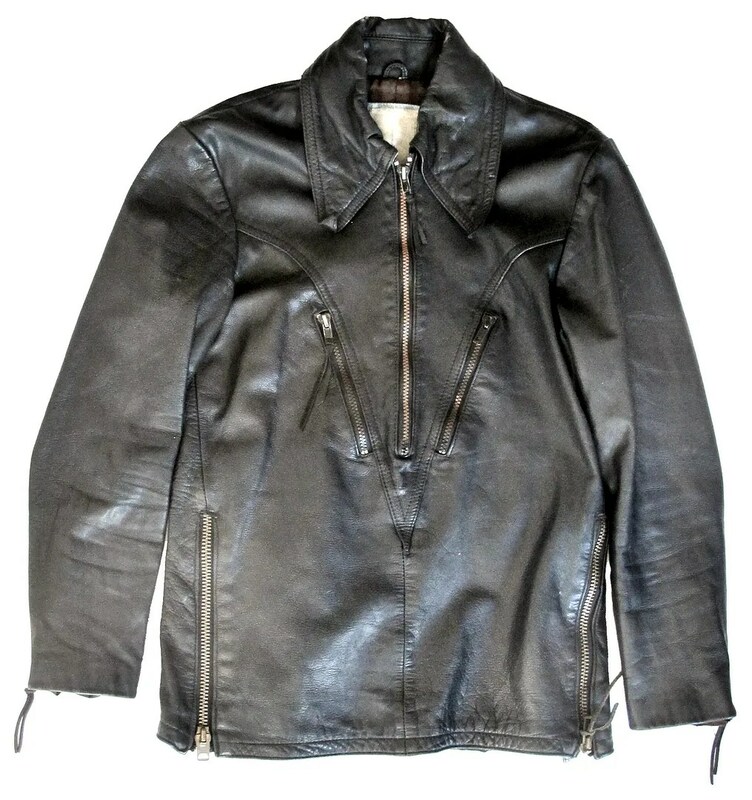 This vintage leather jacket was made in the 1970s and was worn by a biker through most of its life. The label has worn away, unfortunately. 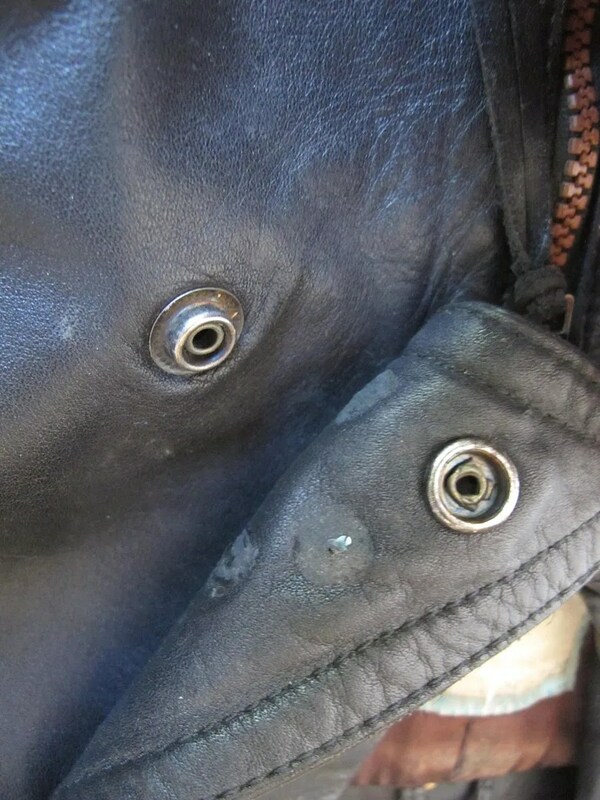 The jacket has a deep front yoke, with a half-zip, two zipper diagonal breast pockets, and zips on the side seams to help get into the jacket. 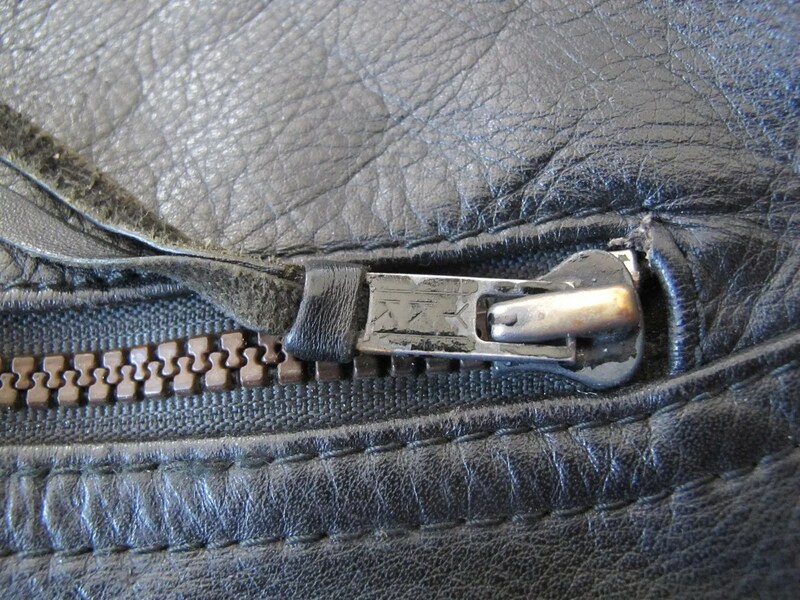 The back has a corresponding deep yoke. 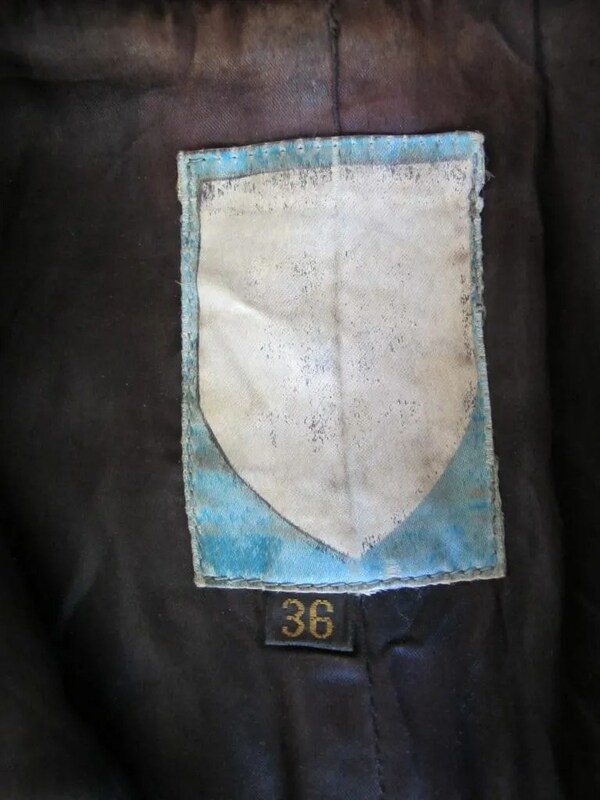 The sleeves have zip cuffs. 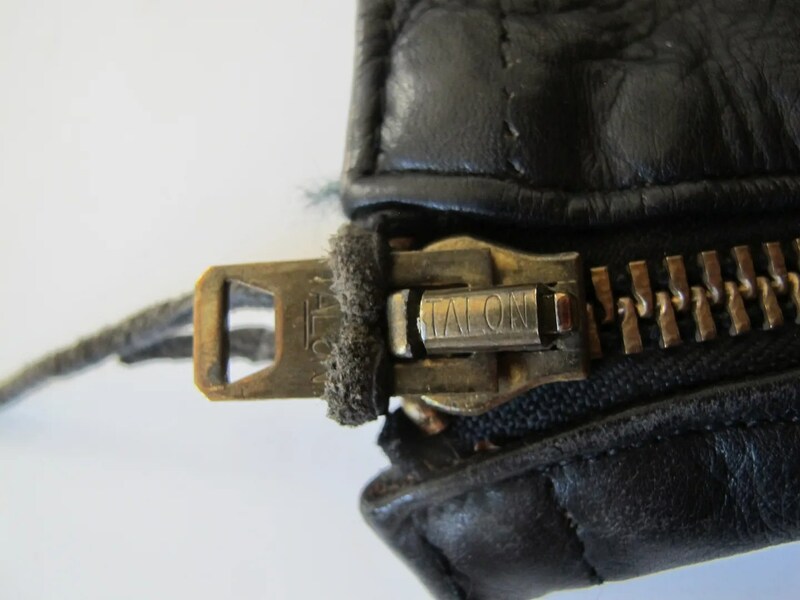 Zips are a mix of chunky brass talons and YKK. 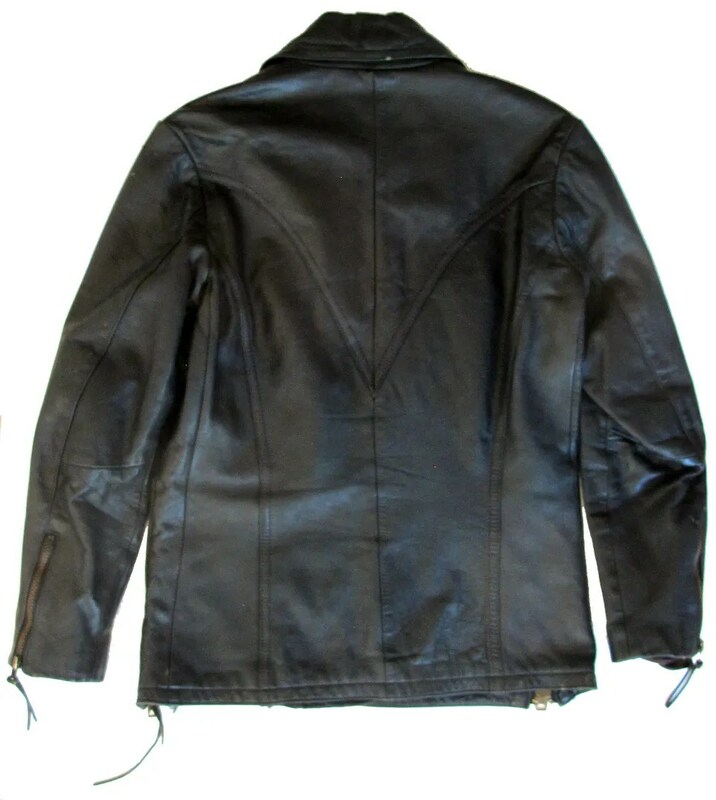 There is evidence of this jacket’s past life in its pin marks on the collar the outline of motorcycle club patches down the sleeve. 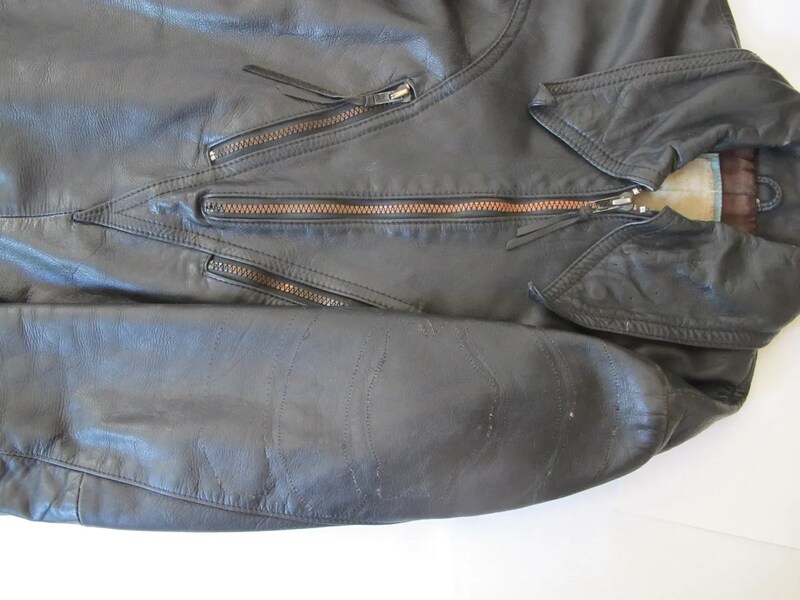 This entry was posted in Jackets, Leather and tagged 1970s, 1980s, clothing, fashion, jacket, leather, mens, motorcycle, racing, shirt, style, vintage by Spencer Stewart. Bookmark the permalink.